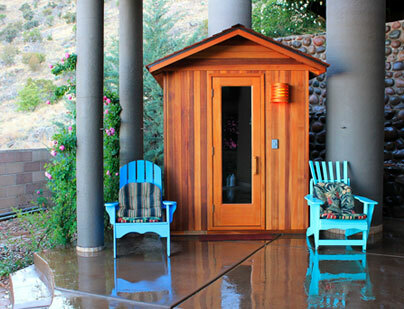 Restore and revitalize with custom-built spas and saunas from the world's leading manufacturers. Honored to be Preferred & Privileged to be Referred. Providing services to architects, designers, builders and homeowners seeking heat-related therapies. Welcome to the tranquil world of healing waters and heat therapy. As a family-owned business that has been serving our local communities for over 30 years, Metro Detroit trusts us to provide high-quality design and installation services for custom saunas and portable hot tubs in homes and businesses. We're motivated by our mission to provide superior hydrotherapy, added comfort by design and the most relaxed atmosphere to enhance your therapeutic experience. Our goal is to soothe the body, mind and spirit by providing multiple forms of therapy to alleviate stress, tension and chronic pain while enhancing our customer's lives and promoting family value. As stress and tension have become part of today's busy lifestyle, relaxing at home every day in your hot tub is a great way to soothe the soul. So why not indulge yourself with some peaceful relaxation just outside your own back door? It has become our primary focus to aide those in need of hydrotherapy, stress reduction and relaxation. Those suffering from fibromyalgia, arthritis, diabetes type II, high blood pressure, and sleep disorders find the healing waters and heat therapies of hot tubs and saunas not only a welcome retreat, but an effective treatment for their ailments. Having trouble with your spa or sauna? Give us a call! We have the parts, tools, skills and knowledge necessary to diagnose and repair any of the products we offer. We offer this service both to existing customers and anyone in the area that knows the joy of Artesian and Finlandia products.